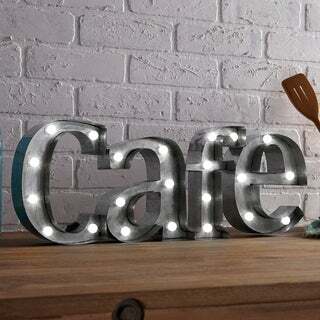 Shop for Apothecary & Company Metal LED 7.5 inch CAFE Marquee Sign. Free Shipping on orders over $45 at Overstock.com - Your Online Home Decor Outlet Store! Get 5% in rewards with Club O! Here are some of the ideas and products i have fell in love with.